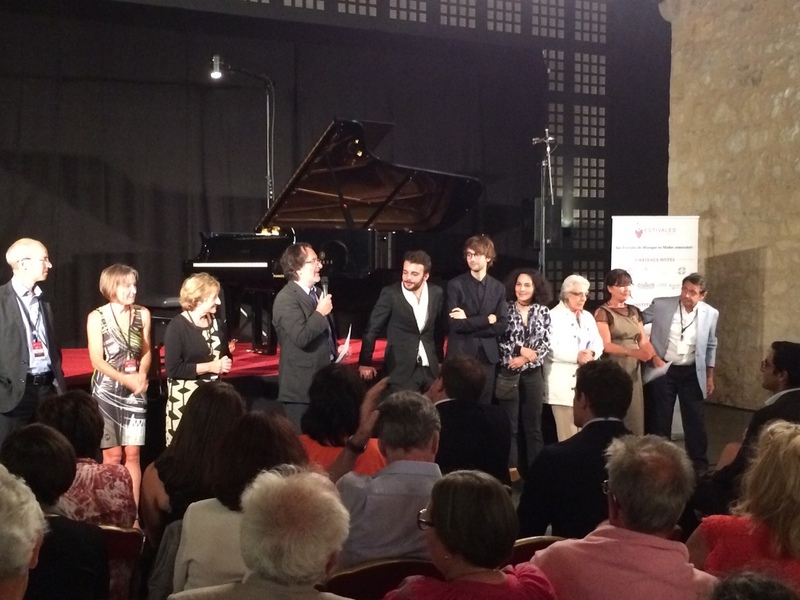 Les Estivales de Musique en Médoc is the only music festival in Europe to exclusively program young laureates of international music competitions. Régine Roux created our association in 2003. Driven by the ambition to discover the young talents of classical music (piano, violin, cello, opera singing, harp, flute, guitar, trumpet, trombone…), she imagined this festival as a way to program promising artists willing to perform in the most prestigious châteaux of the Médoc region. The combination between music and wine started in 2004 for the first edition of the festival. Each concert, which is followed by a wine tasting offered by the hosting château, demonstrates our values of excellence and openness. Les Estivales de Musique en Médoc is recognized by our loyal and huge audiences and by the artists themselves as a real springboard for talented young musicians. We now ambition to become a must go venue in July, along with other well-known French festivals like la Roque d’Anthéron, Orange or Aix-en-Provence. The association is declared of public utility and the festival is labelled Scènes d’Été en Gironde and Aquitaine en Scène. It is financially supported by the Conseil Général de la Gironde, the Conseil Régional d’Aquitaine as well as private partners. Les Estivales de Musique en Médoc is a member of France Festival and is the only French festival to be recognized by the World Federation of International Music Competitions.